This DIY fall bunting lets you customize your favorite messages! You'll just need chalkboard paint, Mod Podge and some cardboard. If there's one thing that fall and Halloween require, it's a banner (also known as a bunting). Luckily, Man Podger David is quick to deliver! His obsession with buntings and chalkboards has led to this awesome piece that you need for your own home decor. Okay, maybe obsession is a strong word, but it sounds serious so I like it. I'll let David share his DIY chalkboard bunting tutorial with you himself so that you can make a Halloween bunting of your very own. I like the idea of festive bunting and I like the idea of chalkboards. I thought it would be fun to combine the two so you could change your message or have no message at all. I made my bunting out of wood, but this idea would work with pretty much any material you had handy that would accept chalkboard paint: foam core, metal, veneer, heavy cardstock, etc. You can also easily buy ready-made flags (some already painted as chalkboards) on Etsy. 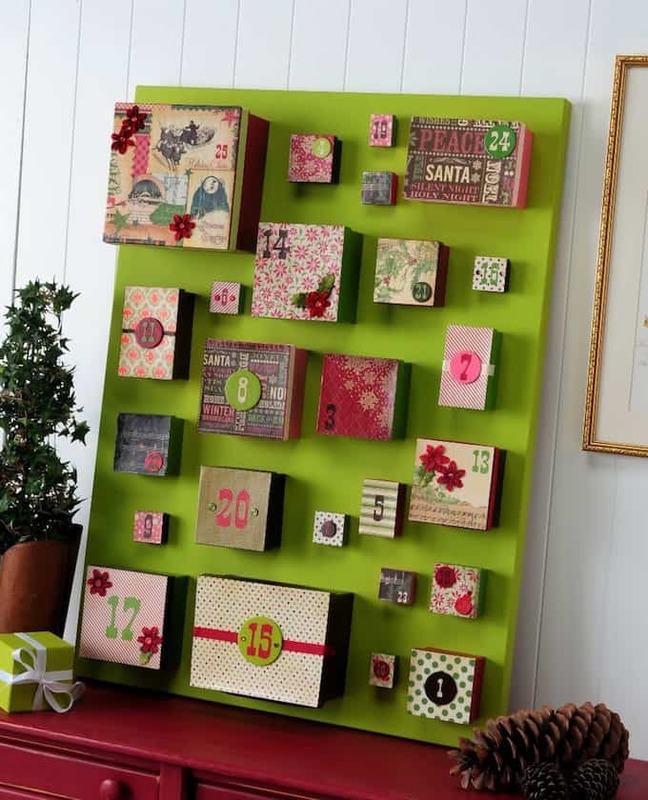 This would also be a great project for using bits of leftover wrapping paper. Life is easier with templates, so first up I created a template for my flag triangles that was 7 x 7 inches (with holes marked at the corners) and used it as a guide to cut each flag. After I had the flags cut I painted one side with chalkboard paint according to the manufacturer’s instructions. As the chalkboard paint was drying I created a template for cutting my paper. I wanted a nice border on the chalkboard side, so I made my template 9 x 9 and cut off the corners of the triangle so that when I folded the paper over the corners would be neat. Step 2: Lay the Mod Podged side down on the back of your paper, center it and press firmly to get a good bond. Step 3: Flip the whole thing over and smooth out any wrinkles or bumps. Step 4: Flip it back over and, working one side at a time, dab Mod Podge along the edge and fold the paper over and smooth it out. 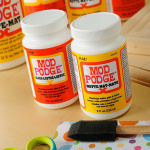 You will want to have a damp paper towel handy to immediately clean up any Mod Podge that oozes out from under the paper onto the chalkboard. I repeated that with all the triangles and set them aside to dry. After about 20 minutes of drying I gave them a sealing coat of Mod Podge for protection and durability (being careful not to get Mod Podge on the exposed chalkboard paint). Next up was creating the holes for the string. I put painter's tape over both sides of the triangle and, using my template, marked where to drill the holes. 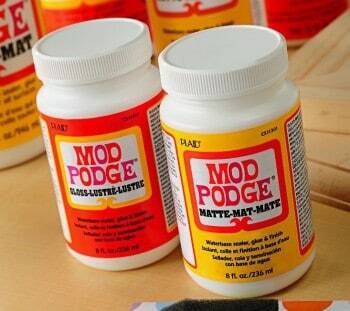 TIP: Make sure your Mod Podge is thoroughly dry or the painter's tape will rip the paper when you remove it. Then it was time for stringing them up. Won't this fall bunting be a nice addition to your Halloween mantle? Of course it will – though you can customize the message to say anything you want. 1) I discovered that thinner decorative paper was easier to use than cardstock (like you’d get in a scrapbook paper stack). You can use cardstock – I did on a couple of them- but it takes some patience as it needs a little help staying stuck when you fold it over the side. I ended up using alligator clips to hold it in place as it dried which worked great but took a little time. Whatever paper you use make sure to test first to make sure it holds up to the Mod Podge. 2) The Painters Tape: Often when you drill through something the opposite side tends to “blow out” meaning you get splinters and a rough edge where the drill comes out. By adding the painters tape you prevent that blow out from happening and you get a nice clean, smooth edge where you've drilled. Thanks for all the step-by-steps and extra suggestions. This would be great in a kid’s room to leave little love messages. 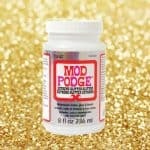 Is there anything Mod Podge can’t do? Have you seen the chalkboard fabric you can buy online or in the store now? Thanks for the tutorial! Very cute. Love the blackboards! The message can change seasonally or even frequently! Sweet! Great idea, the colors are awesome, this gets a high five in my book. What a great tutorial – I love it! Jennifer -work the “you get to use power tools” angle on your husband. Drills! Saws! It’s all about the tools! 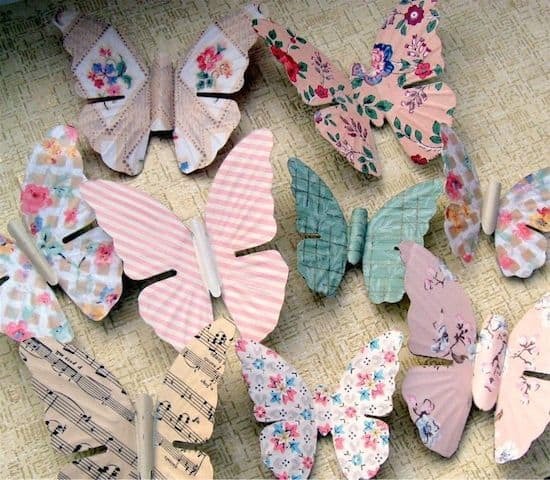 Great tutorial – I’ve never made a craft like this but definitely want to give it a try! Thanks for sharing! It looks so great … and great, thorough tutorial. Thanks! 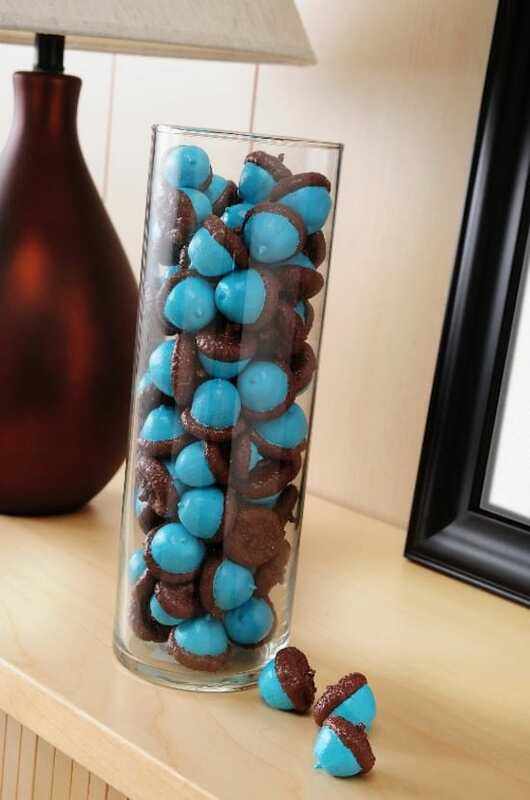 What a great idea for Fall! I am hosting an “It’s Fall Y’all ~ Linky Party” …. I would like to invite you to share this project, and other Fall related projects/recipes, you may have. All links will be pinned to a board dedicated to the party. You can find the party at Love Bakes Good Cakes. Hope to see you there!